This is East Cedar Mountain, a volcanic mesa formation located in Eastern Utah. Though not a particularly beautiful place, it is, however, a very interesting location for both volcanic geologically and paleontology. 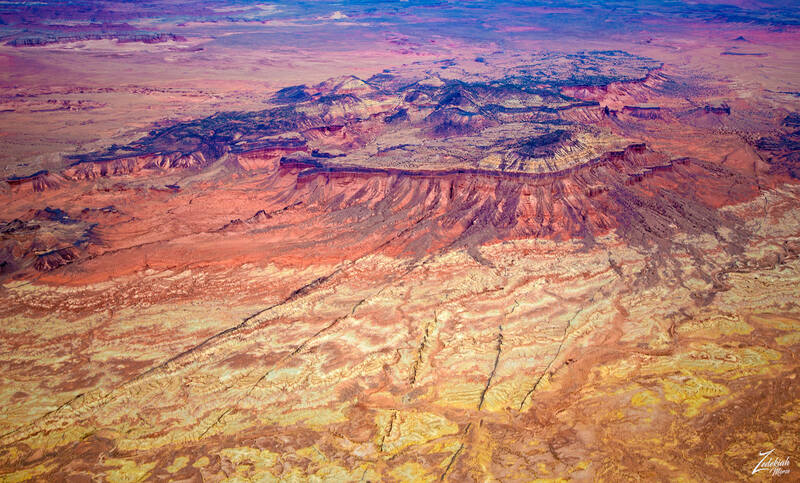 Located in Utah, just east of the Last Chance Desert, this is an ancient land full of volcanic lava flows and debris fields and dotted with fossil beds full of dinosaur bones. The Cedar Mountain Formation is proving to contain one of the richest and most diverse Early Cretaceous dinosaur faunas in the world. The discoveries to date have revealed that the origin of some of the later Cretaceous dinosaurs may lie in the Cedar Mountain, but further work is needed to understand the timing and effects the changing position of the North American Plate had on dinosaurian evolution. Also needed is a better understanding of the effects that the changing North American Plate had on the non-dinosaur vertebrates. Besides dinosaurs, the Cedar Mountain Formation has produced a wealth of small fossils (a.k.a. microfossils), mostly teeth from a variety of vertebrates. Most of these specimens have been found in the Mussentuchit Member where they are collected by washing the rock through a fine window screen. The teeth and other small fossils are picked from the residue. In the foreground of this image, you can see black lines running down from the mesa. These are volcanic lava tubes, now exposed by millions of years of erosion. On top of the mesa, you can see the black rocks from the original volcanic eruptions. In the image below, the bright yellow hilltop of East Cedar Mountain overlooks a line of volcanic “neck” remnants which stand, towering above the reddish desert floor of Mussentuchit Flat. 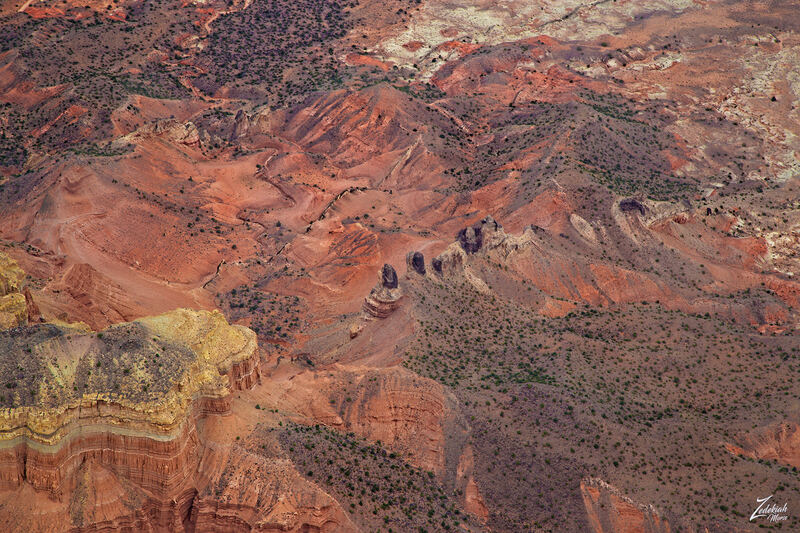 In this image lensed while exploring the area north of Capitol Reef and the Moroni Slopes, you can clearly see the remains of a line of small volcanic eruptions, once buried under the ground, erosion has exposed these towering black volcanic “necks” or “throats”. A volcanic plug also called a volcanic neck or lava neck is a volcanic object created when magma hardens within a vent on an active volcano. When present, a plug can cause an extreme build-up of pressure if rising volatile-charged magma is trapped beneath it, and this can sometimes lead to an explosive eruption. Glacial erosion can lead to exposure of the plug on one side, while a long slope of material remains on the opposite side. Such landforms are called crag and tail. If a plug is preserved, erosion may remove the surrounding rock while the erosion-resistant plug remains, producing a distinctive upstanding landform.